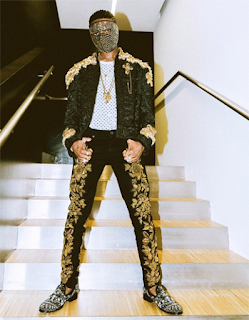 As part of a conscious effort to honor and celebrate the lifetime musical achievements of popular Nigerian pop music star, Ibrahim Ayodeji Balogun, aka Wizkid, Mark Dayton, Governor of Minnesota, United State of American has declared October 6 of every year as ‘Wizkid Day. According to the document which was officially signed, stamped and sealed by the governor, the reason behind the declaration was to honour the ‘Nowo’ crooner for his laudable achievements in music and for his role as a culture influencer. Some of his achievements, include recently becoming the first African artiste to sell out the Skyway Theatre Minneapolis, making a Billboard number one hit ‘One Dance’ with Drake, selling out the O2 Arena London, walking the runway as a model for Dolce and Gabbana, winning countless international awards among other notable milestone achievements.